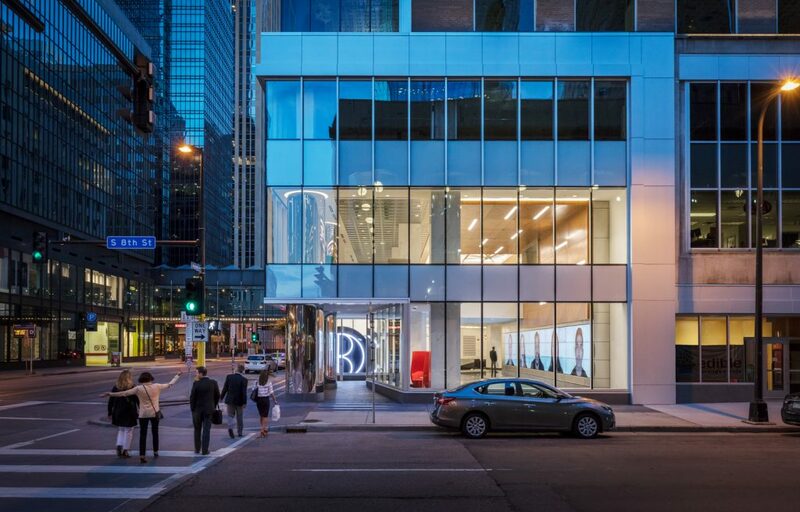 Walker, Michigan — Conveniently located in the heart of downtown Minneapolis, the renovated 90-year-old Baker Center showcases a prominent new building entry featuring Tubelite curtainwall and storefront systems. At the corner of Marquette Avenue and Eighth Street, the main entry provides a unified façade for the four buildings that comprise the complex. 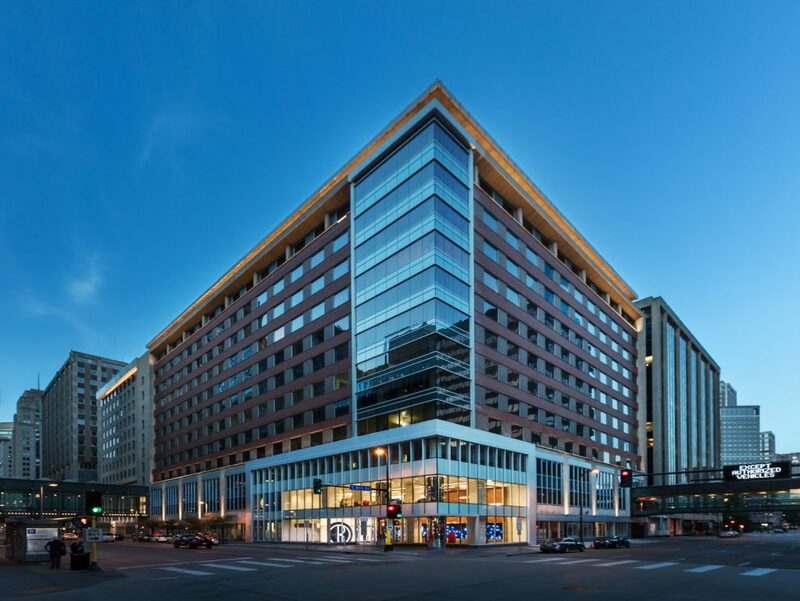 To reflect the updated look and performance for this property, Brin Contract Glazing‘s team worked closely with the architect, construction manager Hightower Initiatives, general contractor JE Dunn and Tubelite to install the curtainwall. 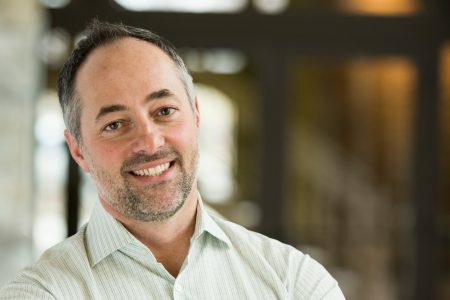 “It was a logistically challenging project,” admits Scott Ide, Brin Contract Glazing. 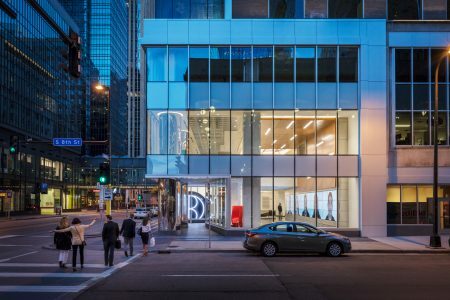 The lower levels feature Tubelite’s TU24000 Therml=Block dual-pocket, poured and debridged thermal storefront on the exterior, and 4500 Series storefront on the interior. Expanded window lines at street level offer a view into the new entry lobby featuring a 60-foot media wall. At the architect’s request, TU24000 Therml=Block storefront also was used for the windows on the upper stories. “In Minnesota’s cold climates, Tubelite Therml=Block products provide superior energy and condensation resistance performance using multiple thermal barriers, while providing structural integrity and aesthetic flexibility,” explains Mary Avery, Tubelite’s vice president of marketing. Complementing the low-maintenance, durable, thermally broken, high-performance aluminum framing, Tubelite’s curtainwall and storefront was glazed with low-e, 1-inch Solarban® 60 and low-iron glass with warm edge spacers and argon fill from Vitro Architectural Glass provided by Oldcastle. 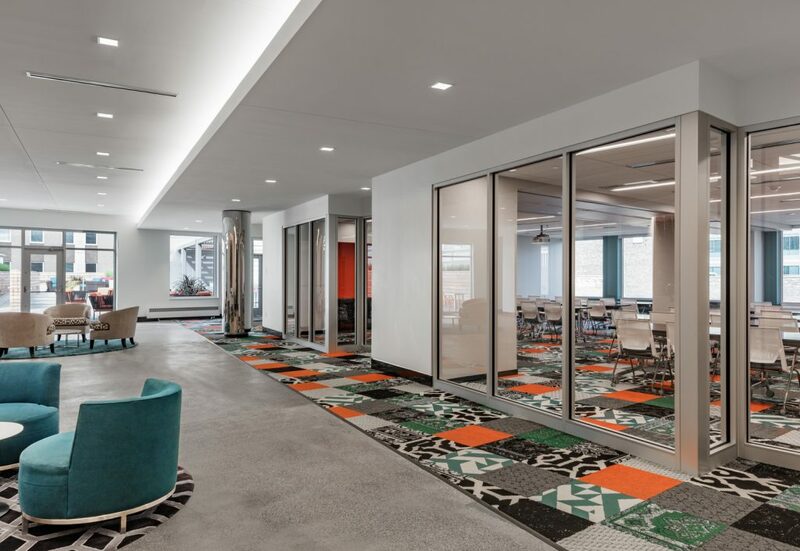 Within its glass-enclosed comfortable interior, the Baker Center’s top amenity floor sports high-tech, flexible conference room space, a collaborative lounge and concierge services designed to appeal to today’s workforce. 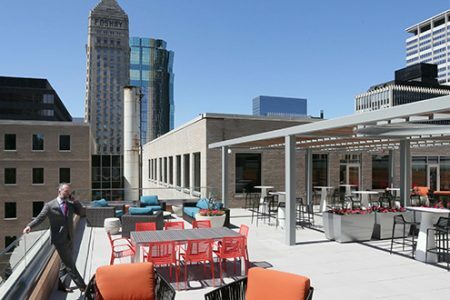 There is also an on-site fitness center and rooftop patio with views of the Minneapolis skyline.